Deep Tissue Massage is a massage technique that focuses on the deeper layers of muscle tissue. It aims to release the chronic patterns of tension in the body through slow strokes and deep finger pressure on the contracted areas, either following or going across the fibers of the muscles, tendons and fascia. The term "Swedish Massage" refers to a variety of techniques specifically designed to relax muscles by applying pressure to them against deeper muscles and bones, and rubbing in the same direction as the flow of blood returning to the heart. Active Release Technique deals directly with the reasons for soft tissue dysfunctions and subsequent referred pain and nerve entrapment. In acute conditions, Soft tissue release affects the insidious way scar tissue is formed, and in chronic conditions Soft tissue release breaks up the fibrotic and adhered mass of scar tissue to quickly allow the muscle to return to its natural resting length. Once the muscle or muscle group has returned to the original resting length, there is an immediate release from the pain induced by the inflammation response. Stretching, or myotasis, represents an integral part of many forms of manual soft-tissue therapy, including medical massage, sports massage, and many Eastern bodywork forms such as Shiatsu and Thai Yoga Massage. Don't Want to Leave the House? We Do Outcalls Too! Just add $40 to any massage. Massage available every day by appointment. To schedule an appointment, please call (530) 546-8201, or click here. LTWC Special! Save $500 on an HT-5040 WholeBody Massage Chair! 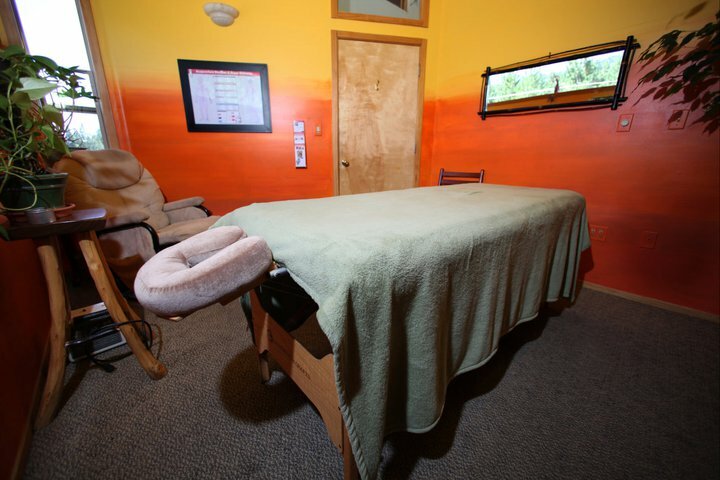 Do you LOVE the massage chair at the Lake Tahoe Wellness Center? Well now you can have your own! SPECIAL PRICING IS AVAILABLE THROUGH THE LTWC - Call today and let us know how we can help bring the joy of a Human Touch Massage Chair to your home!